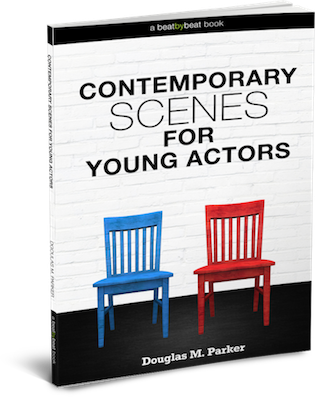 Introducing Contemporary Scenes for Young Actors, a new eBook featuring 34 high-quality, instantly involving scenes for actors aged 8-16 and for the teachers, directors and acting coaches who work with them. Written by award-winning NYC playwright Douglas M. Parker, this incredible collection of high-quality scenes uses only accessible, contemporary language and situations and offers your young actors a broad range of circumstances and emotions to work with. Ideal for kids and teens of today. Scroll down below to preview 3 FREE scenes! If you work with young actors, you’ve experienced the difficulty of trying to find quality material for them to work with in class. 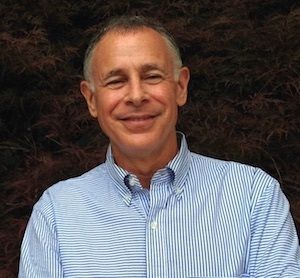 You want something that will excite your students, while challenging them with unique, accessible and authentic characters with real emotions. Scene work is crucial to developing young actors because it gives them the chance to work on dialogue, character and relationships in a focused, intimate setting. Unfortunately, finding quality scenes that don’t “write down” to kids can be a challenge. Most scene books available to kids and teens are either anthologies, in which scenes are taken from older plays, lack context and use outdated language, or they’re filled with unappealing original scenes that offer little more than cliche situations and unrealistic dialogue. Contemporary Scenes for Young Actors is packed with 34 rewarding, relevant scenes guaranteed to electrify your actors, your audience, and you! Click to Preview 3 FREE Scenes from the Book! Scenes are the most basic building block of any theatrical work that has a plot. And although not all scenes involve two or more actors, most scenes do. Put two or more actors together onstage and the possibility for almost any situation or emotion instantly comes alive – along with the possibility for every form of human relationship, from equal to unequal to evolving. With that thought in mind, the thirty-four scenes contained in this book provide young actors with the material to explore a full spectrum of age-appropriate emotions and relationships, ranging from fear to friendship, love to loathing, and cooperation to competition – with moments of sadness, sympathy, silliness, envy, guilt, anger, and almost everything in between. To help young actors get the most from their experience, the language used in every scene is typical everyday language, rather than the sometimes outdated or highly poetic language that is often found in books of scenes collected from older plays. This emphasis on contemporary language and situations allows the actors to focus directly on the scenes, emotions and characters, without being distracted by unfamiliar words or turns of phrase. At Beat by Beat we’re passionate about raising the bar on the quality of resources that are available for young actors…and you’ll find this eBook to be no exception. Over 55,000 people a month visit the Beat by Beat website, discovering tools and resources which have brought joy to teachers and inspiration to young actors in over 60 countries. You have our personal guarantee that if you aren’t completely satisfied, if you don’t love this scene book and use it semester after semester, call or email us within 30 days and we’ll refund every penny immediately.